Younan has been DJing, producing, and remixing music for major and independent labels (including Addictive, Warner Brothers, EMI, Strictly Rhythm, Yoshitoshi, Star 69, Bamboo, Distinctive and Subliminal) since the early 90s. He's had numerous Top 10 hits and a number 1 spot on Billboard Dance chart (Celeda The Underground). Younans nomination for Best Breakthrough DJ at the annual DanceStar Awards is a testimony to his worldwide appeal. This milestone provided an opportunity to push his sound even further, and while doing so, hes captivating audiences worldwide. To date Younan has released 3 mix compilations: Tide Edit (2002 on UCMG/Europe & STAR 69/US) Addictive Beats (summer 2003 on STAR 69/US and SPG/Canada), And Remixed (Winter 2006 on STAR69/US). These compilations showcase not only Saeed's tribal sound, but also his Tech-funk, and Electro-prog driven sound. All 3 compilations have received rave reviews from critics around the world. Younan is currently entering the busiest period of his life. Not only is he DJing at a different international destination on a nightly basis, but he has also stepped up the production work. He recently released a new single, Rock The Rhythm, on Sondos Recordings and has a massive cache of remixes on the way. This summer will see the release of Saeed's remixes of Club 69s Warm Leatherette and Suzanne Palmer's Sound Of The Drums on Star 69; Sumantri Feat. Plural "How does it feel" and BPT Moody on Tweekd Records. 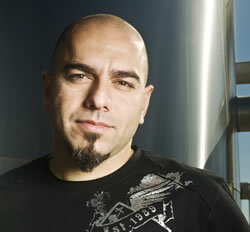 So, keep your ears and eyes open for Saeed Younan as he continues to push the boundaries of dance music.